Dubai, UAE; March 14, 2019: The Dubai Financial Services Authority ('DFSA') has signed a Memorandum of Understanding ('MoU') with Morocco’s Bank Al Maghrib to cooperate in the authorisation and supervision of banks operating in the Dubai International Financial Centre (DIFC) and the Kingdom of Morocco. 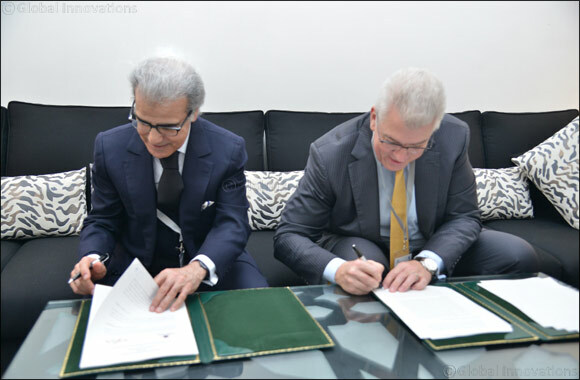 The MoU was signed by the Chief Executive of the DFSA, Bryan Stirewalt, and Abdellatif Jouhari, Governor of Bank Al Maghrib, on 13 March 2019 in Rabat. The Governor of Bank Al Maghrib, said: “We confirm our commitment to upholding the highest corporate governance standards as regards activities of credit institutions in Morocco, and to supervising their international banking operations, including in key international financial hubs such as Dubai. The new MoU signed with the DFSA will help adopt the regulatory controls which are necessary to curb financial crimes and to facilitate sound and orderly cross-border banking transactions”. The MoU also provides for coordination and cooperation in relation to applications to establish a branch in either jurisdiction. Additionally, information relating to the financial soundness of the financial or credit institutions, as well as concerns arising from supervisory visits and reports will be duly shared with the other party. Representatives of the two authorities will convene ad-hoc meetings to resolve any supervisory concerns relating to a cross-border establishment in either jurisdiction. The two authorities will also cooperate closely to identify any suspected financial crime activities in banks of mutual interest, including in relation to unauthorised banking services, money laundering or any violation of financial market laws. Any imminent crisis issues involving the financial or credit companies will also be duly notified. The agreement is the sixth MoU signed by the DFSA with a Central Bank in the region and reflects the level of trust and confidence each Authority has for the other. In 2018, DFSA signed MoUs with the Central Bank of Bahrain and the Central Bank of Oman to cooperate in the supervision and authorisation of firms operating in both jurisdictions. This builds upon a MoU signed with the Central Bank of the UAE in 2009, Banque Du Liban in 2013 and the Central Bank of Jordan in 2007. For the past few years, banking supervisors from both the DFSA and the Bank Al Maghrib have participated in another increasingly important platform for cooperation, a supervisory college of a regional bank. Both authorities are also members of the global standard setter, the Islamic Financial Services Board. The bi-lateral MoU signed this week between the two authorities enhances this relationship, reflecting both authorities’ commitment to cooperation and international standards.